Stylish industrial style planter. 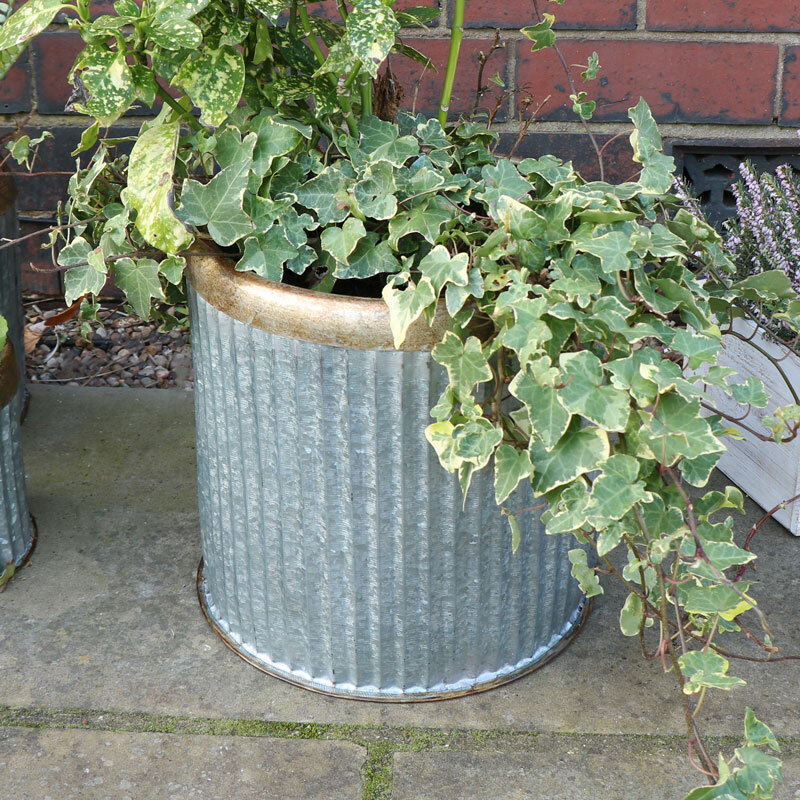 Round grey ribbed effect metal plant pot with rolled brass top. Great garden acessory. Display plants and flowers in amazing style in this industrial style planter. Large design with bronzed ring decorating the top. Small sizes also available. Ideal for an all year round display in the garden or can be used indoor too. Stylish industrial style planter. 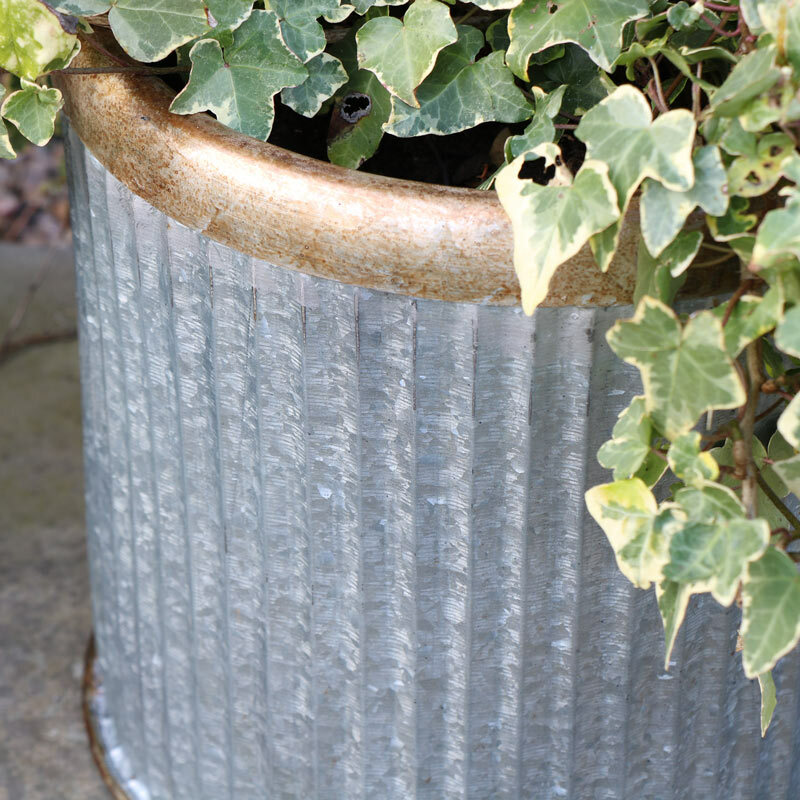 Round grey ribbed effect metal plant pot with rolled brass top. Great garden acessory. Display plants and flowers in amazing style in this industrial style planter. Large design with bronzed ring decorating the top. Small sizes also available. Ideal for an all year round display in the garden or can be used indoor too.